HEADS turned in amazement when Hollywood heartthrob Tom Cruise parked his sports car outside The Grasmere Gingerbread shop and nipped in to buy a few tins of Grasmere Gingerbread. The Mission Impossible star was absolutely charming, enthused about the ambience of the shop interior and promised to return (which he did a few days later). “After waving him off and composing ourselves we added Tom to our long and ever-growing list of celebrities to have visited us down the years,” said Joanne Hunter, a partner in the business. 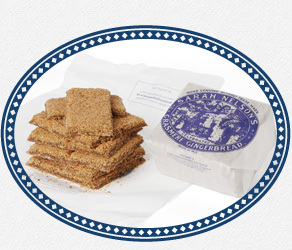 Click on our square tins of Grasmere Gingerbread (below) to see which famous people have paid a visit to The Grasmere Gingerbread Shop. 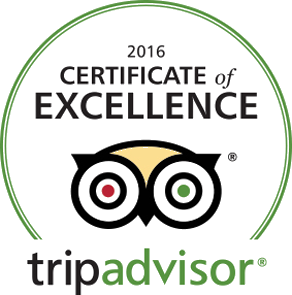 You can also visit our YouTube Channel to see some clips of Grasmere Gingerbread on TV. The Top Gun and War of the Worlds actor was described as one of the world’s most powerful celebrities by Forbes magazine. He is still the most bankable Hollywood male lead and rarely out of the gossip columns. The Oscar-winning actress and UNICEF ambassador starred in the movies Cold Mountain, The Hours and Australia. Her marriage to and subsequent divorce from Tom Cruise dominates the showbiz headlines for years. 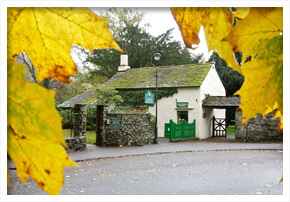 The star of Miss Potter fell in love with the Lake District and Grasmere Gingerbread whilst filming some of the movie in and around the area. She is best known for her role in Bridget Jones’s Diary. The handsome Take That singer broke quite a few hearts with last year’s announcement to leave the band which enjoyed massive hits with Patience, Back for Good and Relight My Fire during two decades of music chart dominance. A broadcasting legend, the suave host of BBC Question Time is particularly well-known for his masterful handling of the country’s Election Night specials. 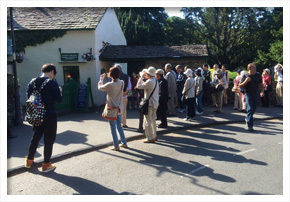 The Naked Chef described Grasmere Gingerbread® as the ‘best gingerbread I have eaten’ and brought catering students to The Grasmere Gingerbread Shop during filming of his pioneering TV programme Fifteen. The larger-then-life Coronation Street landlady of the Rovers Return turned heads at The Grasmere Gingerbread Shop even though she wasn’t wearing her trademark leopard skin jacket. He was the 1972 Munich Olympics golden boy, winning seven swimming events and establishing world record times in every one, a remarkable record that has stood the test of time. The star of BBC TV show Z Cars and movie Kes won an Oscar for the Best Original Screenplay for Chariots of Fire. Perhaps Britain’s most accurate TV impressionist, his popular satirical show Bremner, Bird and Fortune was particularly sharp and edgy. Famous for the ‘salmonella in eggs’ furore, the former Conservative Junior Health Minister is now a novelist and broadcaster. She caused a sensation when her published diary detailed a four-year affair with John Major. Although forever known as nosey parker Hilda Ogden in Coronation Street, the now retired TV actress successfully played the character Auntie Wainwright in BBC comedy Last of the Summer Wine. One of the most successful TV journalists and presenters of all time, his career spanned 60 years and Whicker’s World ran for more than 30 years. The outspoken Radio 2 DJ first achieved fame with Channel 4’s The Big Breakfast and TFI Friday and he enjoyed celebrity marriages to Loose Women’s Carol McGiffin and Dr Who actress Billie Piper. Best-known for her portrayal of the monstrous Beverly in Mike Leigh’s Abigail’s Party, she also starred in films A Private Function, Clockwise and Shirley Valentine. He shot to fame in the early 80s as anarchic student VyVyan in TV comedy The Young Ones. Despite a host of other acting roles since, he will surely always be best remembered for his incredible portrayal as the psychopathic punk medical undergraduate. 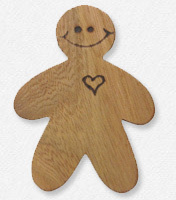 The handsome chef and star of shows such as Ready, Steady Cook worked in Grasmere before TV fame and included Grasmere Gingerbread® in his prized list of ‘Best of British’ Foodstuffs. Only if you are over a certain age will you remember him as a mains presenter of children’s TV programme Play School and as the narrator on the brilliant trio of Gordon Murray puppet shows Camberwick Green, Trumpton and Chigley. The death early in 2015 of actor Anne Kirkbride, who played Deidre Barlow in Coronation Street, stunned co-stars and fans alike. A true Corrie great, she played her bespectacled characters for four decades and starred in some of the show’s most dramatic storylines. Sadly missed. She will forever associated with the film Born Free about an orphaned lion cub looked after by wildlife campaigner Joy Adamson (whom she plays in the movie) and released back into the Kenyan wilderness. The English wine critic, journalist and television personality co-presented the popular BBC Food and Drink series for 18 years and was famed for her theatrical and abstract descriptions of all her favourite tipples. The cuddly astrologer and media personality starred in 2009’s Strictly Come Dancing and is also the author of The Real Counties of Britain. A Coronation Street regular since 1999, he plays lovable corner shop owner Dev Alahan whose character has enjoyed a string of romances down the years. Affectionately known as Johnners, he presented long-running Sunday evening radio programme Down Your Way and he was a regular member of the BBC cricket commentary team. Renowned for his schoolboy humour, he once collapsed into helpless laughter on air after the term ‘get his leg over’ was used in reference to Ian Botham failing to hurdle the stumps. After playing unlucky-in-love gay barman Sean Tully in Coronation Street since 2003, he has established a loyal TV following. Although known as an Irish celebrity chef from County Down, he was actually born in Glasgow. In 1989 he opened the restaurant Roscoff which became the first to win a Michelin start in Northern Ireland. Memorably immortalised in the Alan Partridge universe as an object of his unrequited affections, she made her name in TV and radio and later became a writer. She also appeared twice as herself in TV’s Edge of Darkness and The Life and Loves of a She-Devil. Although known primarily as a wine critic alongside Jilly Goolden on BBC’s Food and Drink he was originally an actor and enjoyed a small part as a criminal in the 1978 Superman film starring the late Christopher Reeve. Although happiest in her wellies pottering in her garden, she is best-known for presenting Songs of Praise and during her tenure has interviewed the Pope, the Archbishop of Canterbury and members of the Royal Family. A versatile actress who shot to fame in 70s TV show The Brothers, was previously married to pop star Alvin Stardust and Dr Who’s Colin Baker and who know dedicates her life to looking after rescued animals at her home in Norfolk. A former captain of both the England Rugby Union team and BBC TV’s A Question of Sport, he is the managing director of his family’s textile business in Chorley, Lancashire. An actor best-known for playing the title role in Jesus of Nazareth and his distinctive voice has graced numerous documentaries and advertisements including World War II in HD Colour and The Story of the Third Reich. A popular English actor and radio presenter in 50s and 60s, best remembered for BBC Radio’s Have a Go which attracted a weekly audience of more than 20 million and a weekly mailbag of 5,000 letters. Countdown was the launch programme for Channel 4 on November 2 1982 and popular host Richard Whiteley chaired the daytime programme for the next 23 years until his death in 2005. With her huge expressive eyes and coy smile, she is one of Britain’s best-loved actresses and after rising to prominence playing Cleopatra in the quintessentially British comedy Carry On Cleo, found TV fame in Coronation Street and Bad Girls. An actress, broadcaster and novelist best-known for playing dizzy Maureen Holdsworth in Coronation Street and as a panellist on the hit ITV chat show Loose Women. Gennaro Contaldo is one of the most respected chefs in London - the personal mentor of Jamie Oliver. Since first tasting Grasmere Gingerbread four years ago, when he met Joanne in Cumbria, he now insists on regular deliveries to his Passione restaurant in London. Known for playing handsome builder Jason Grimshaw in ITV soap Coronation Street, actor Ryan Thomas has romanced many of the show’s leading ladies in dramatic storylines. Nominated for numerous ‘Sexiest Male’ accolades, he was voted Rear of the Year in 2008!